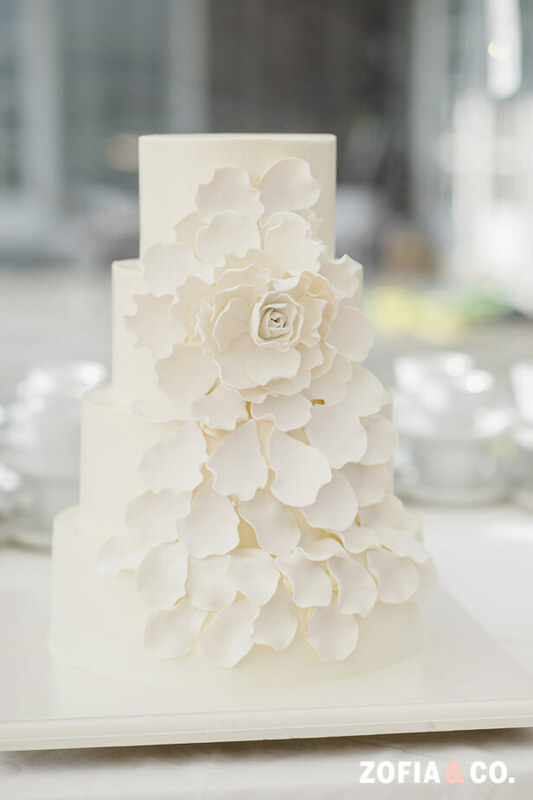 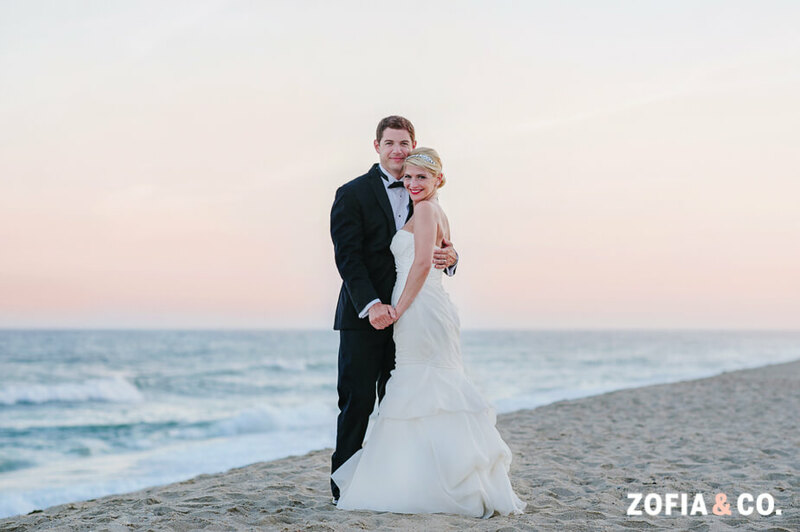 Catherine and Graham’s neutral Nantucket wedding was held at the Siasconset Union Chapel with the reception at a private residence on Nantucket. 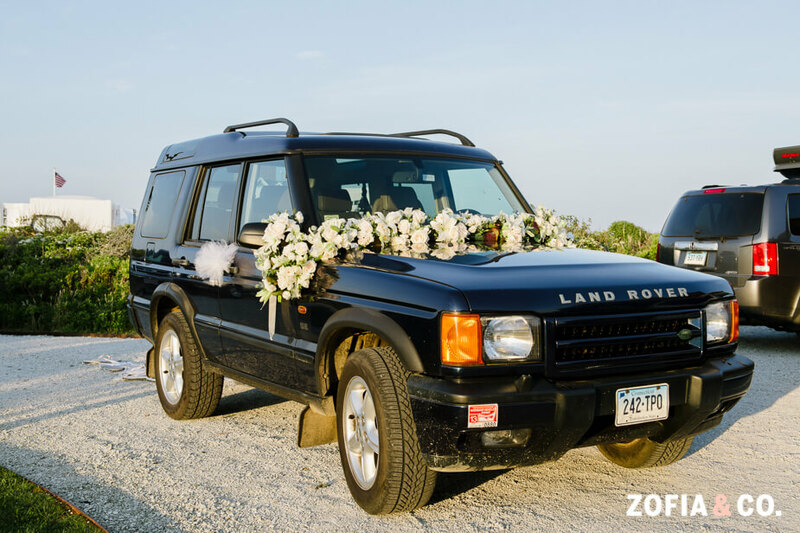 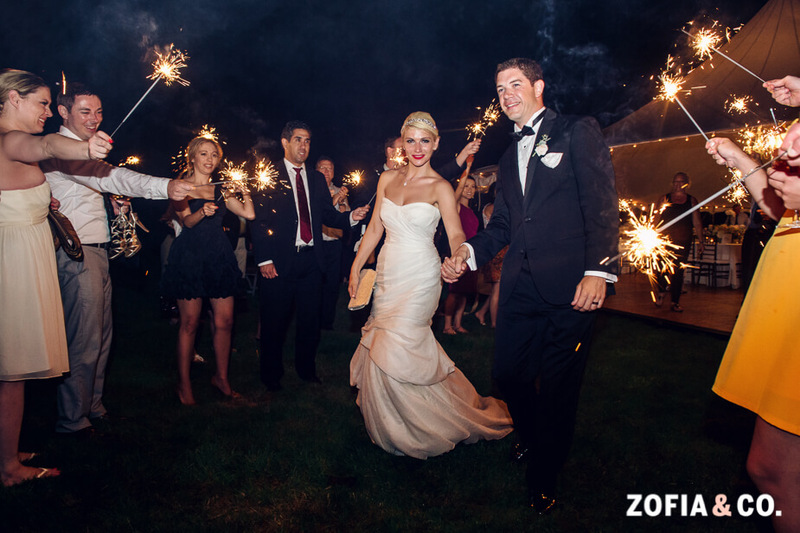 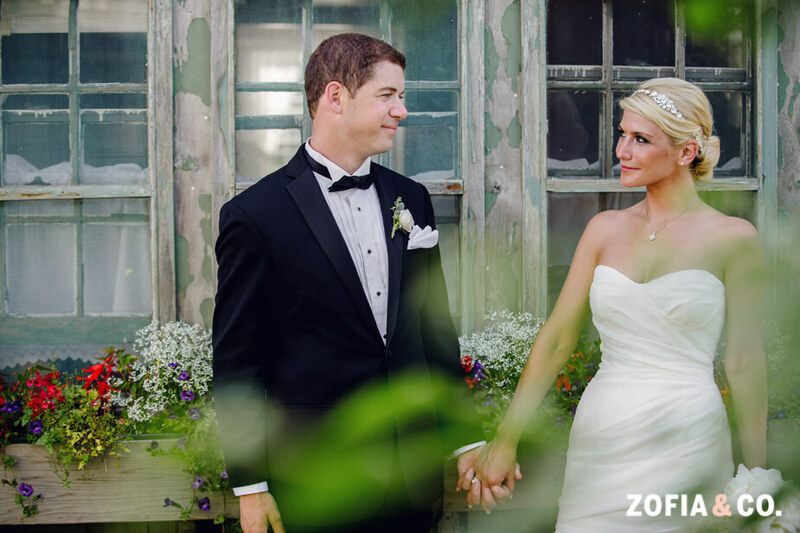 With the backdrop of this picturesque island, this wedding was sure to be stunning! 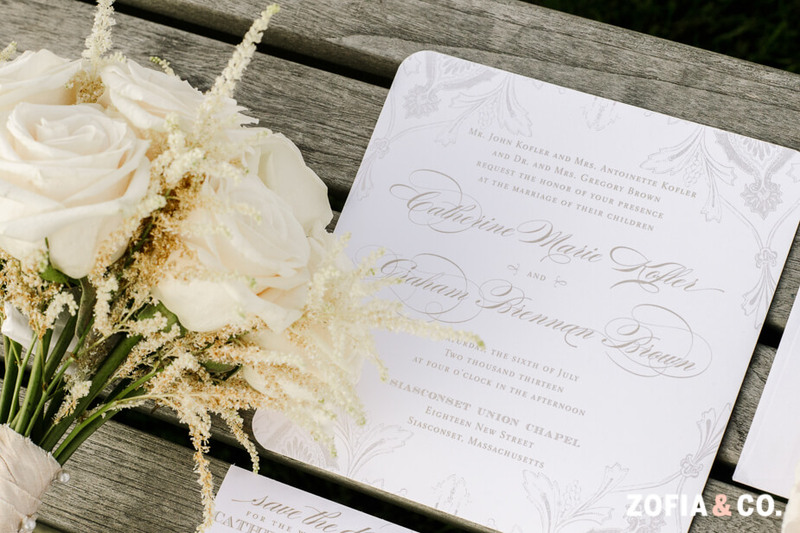 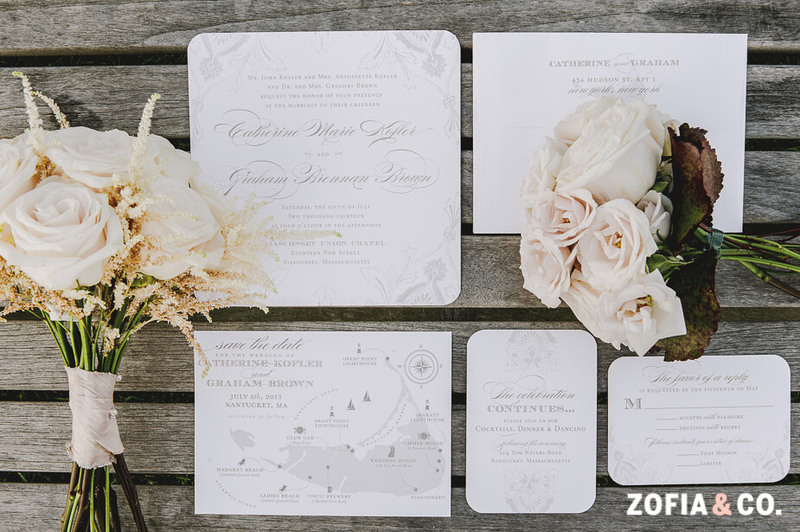 For this neutral Nantucket wedding invitation we added a floral border, rounded corners, and a grayish tan pantone for the thermography print. 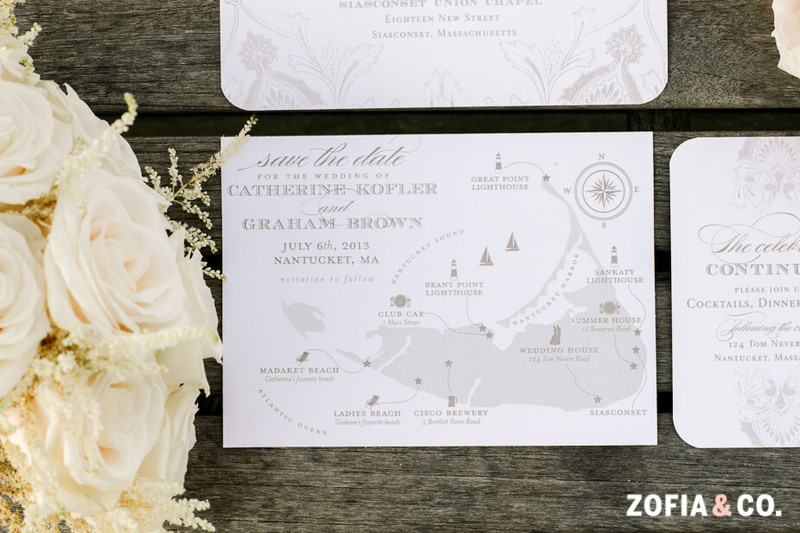 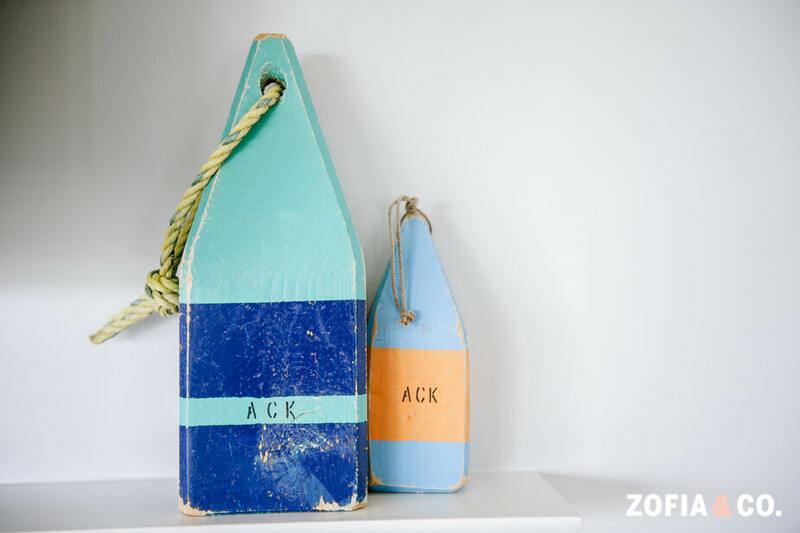 This coordinated with the Nantucket save the dates we did with a map of the island months earlier! 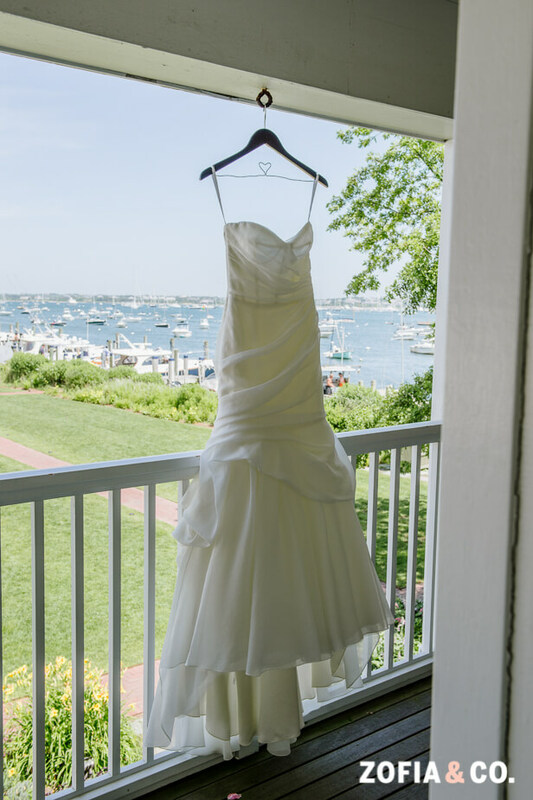 We loved this classic ensemble for the traditional and northeastern prep of Nantucket! 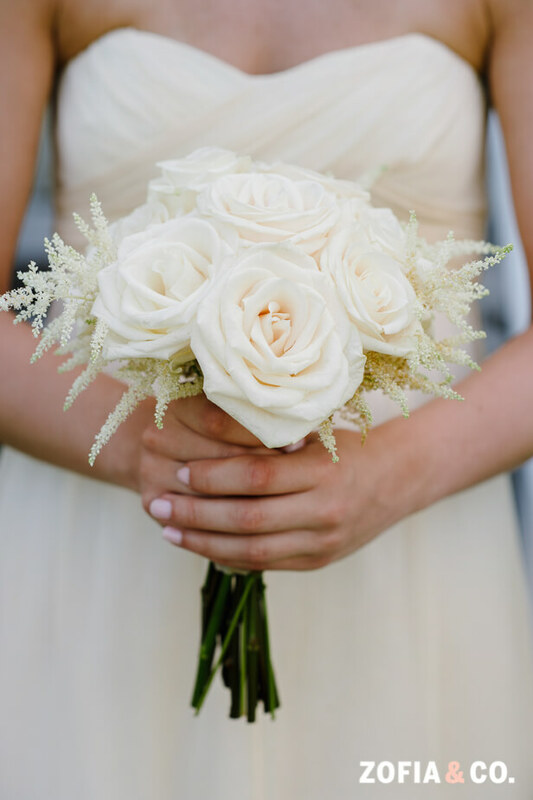 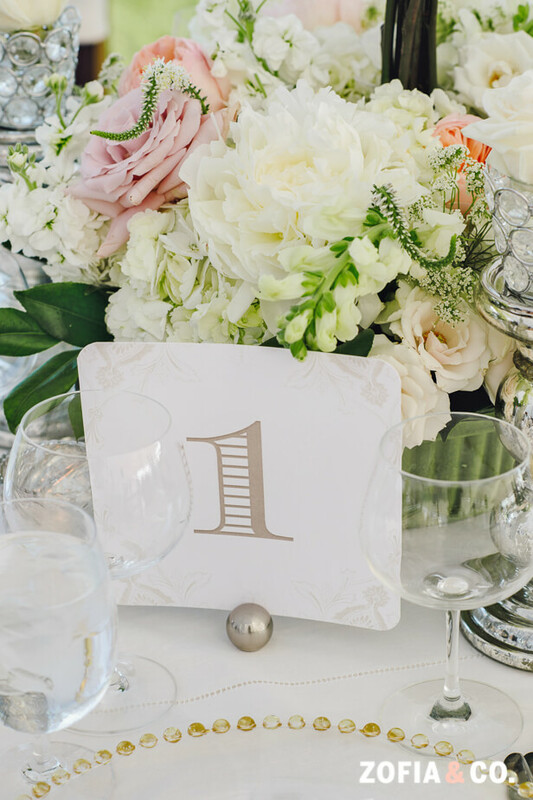 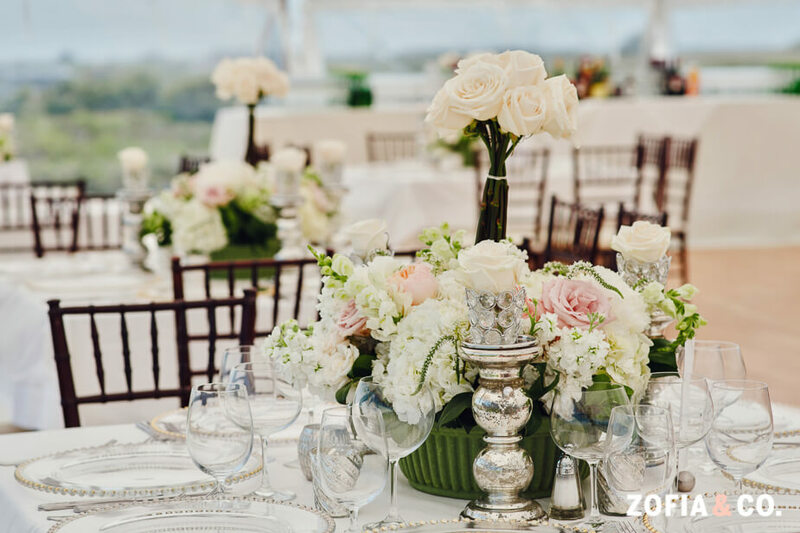 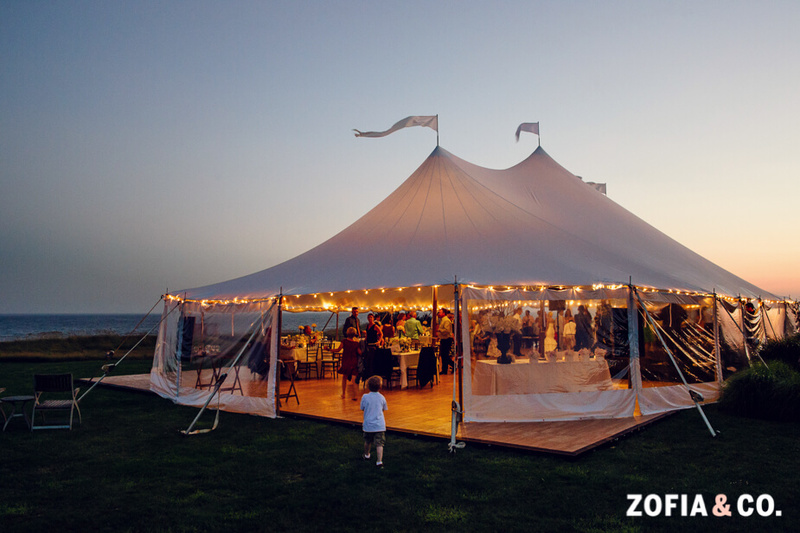 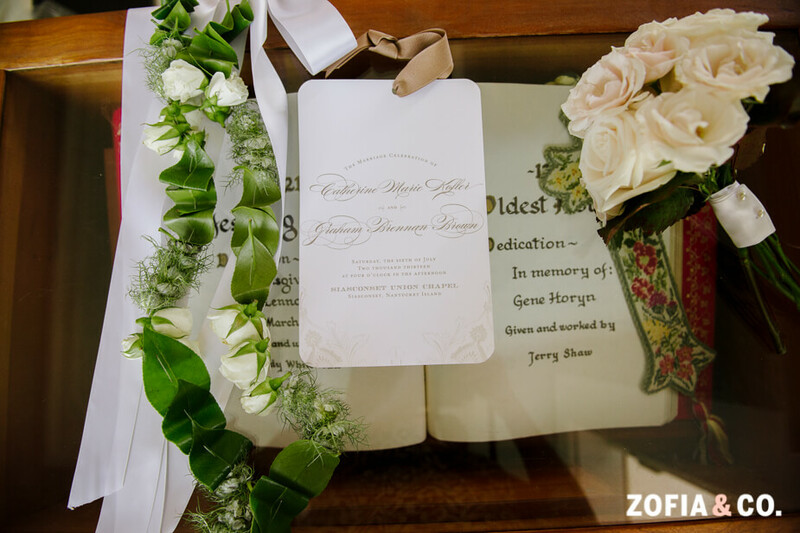 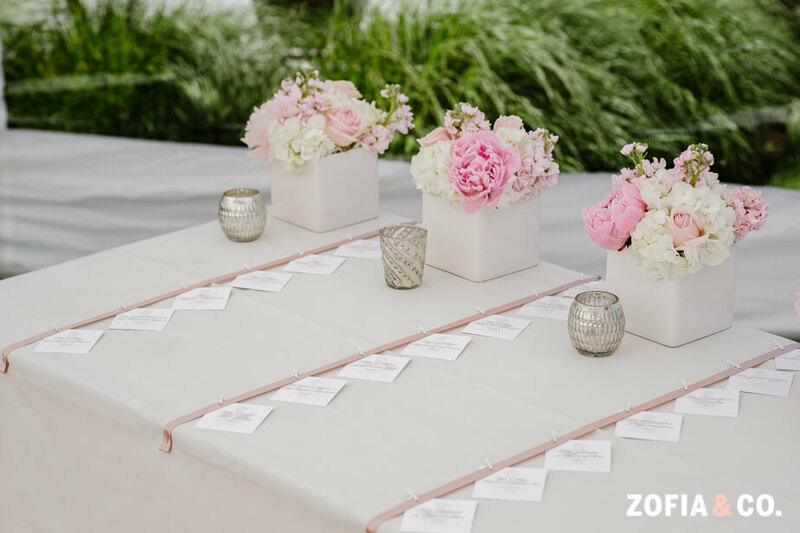 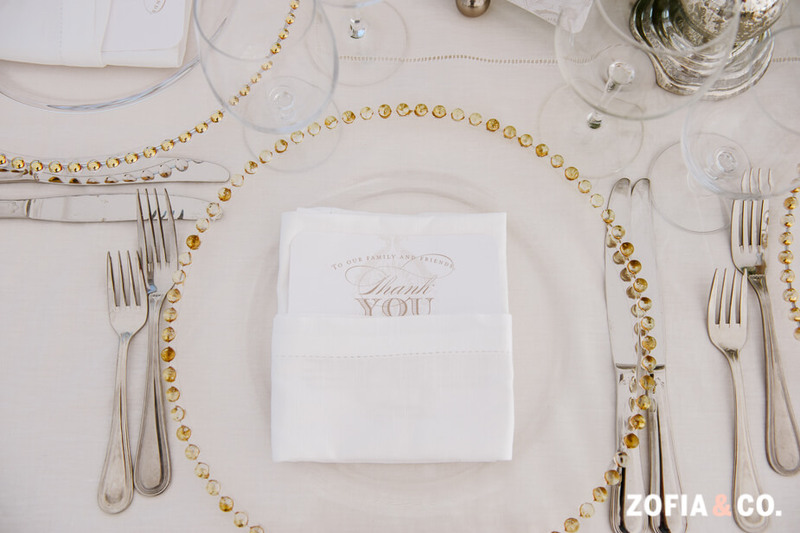 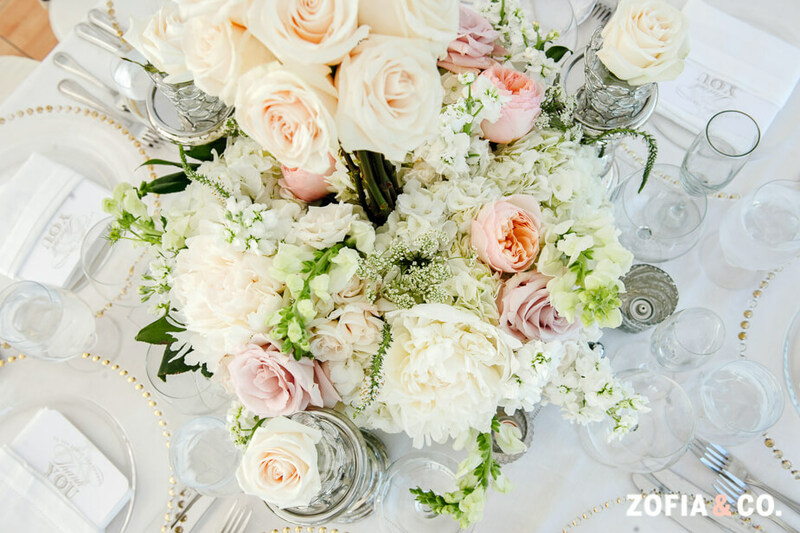 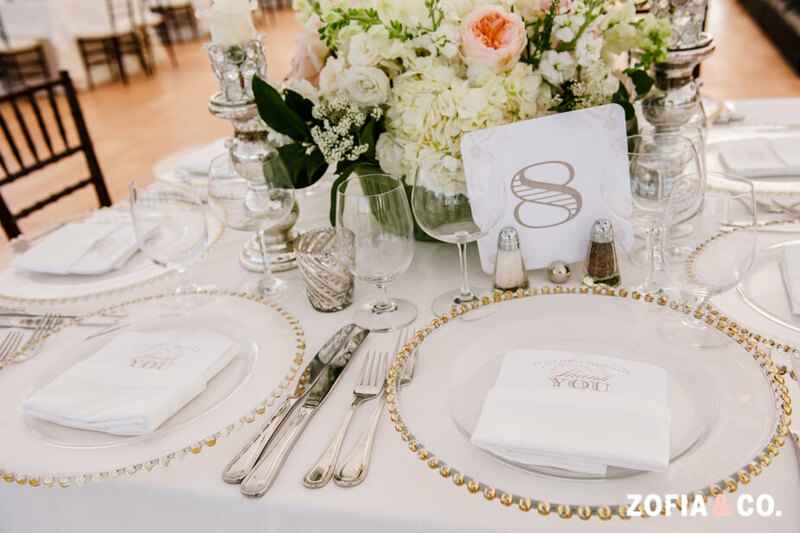 The entire wedding party wore ivory and as much as we love color, this neutral Nantucket wedding was such a showstopper! 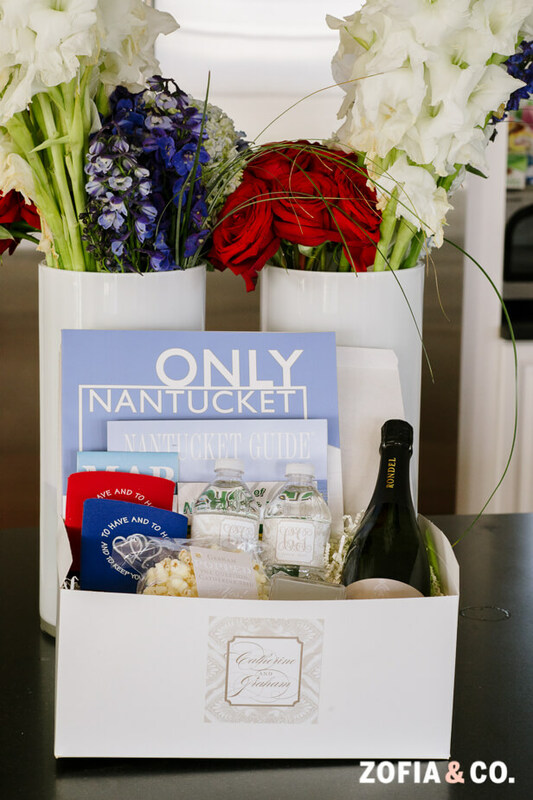 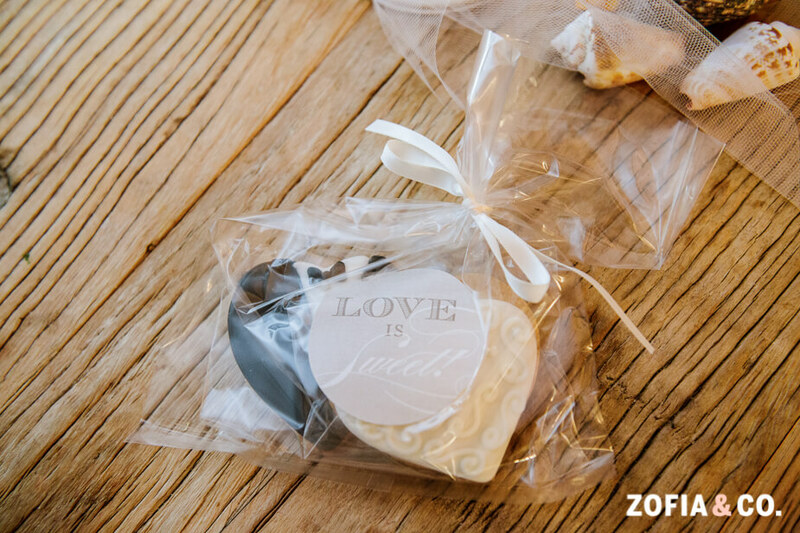 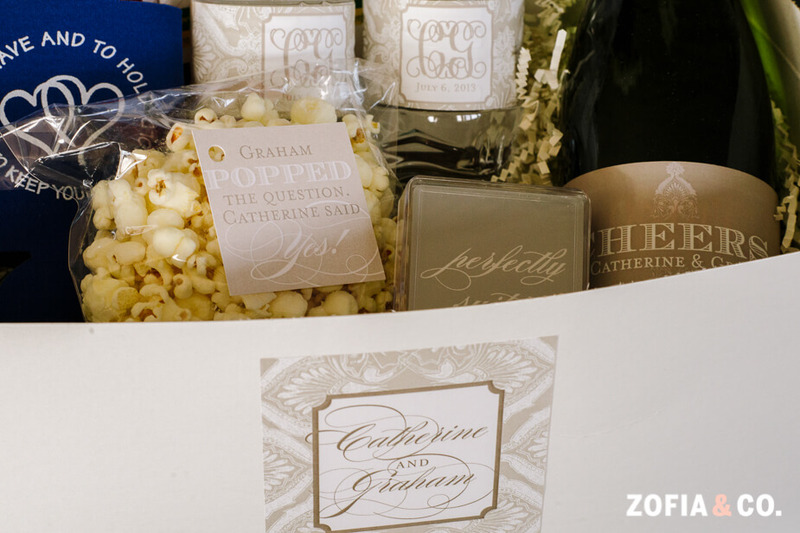 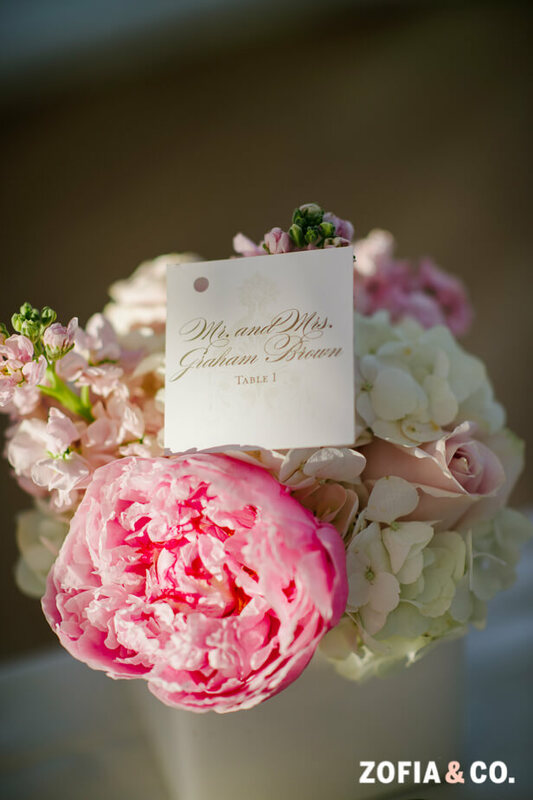 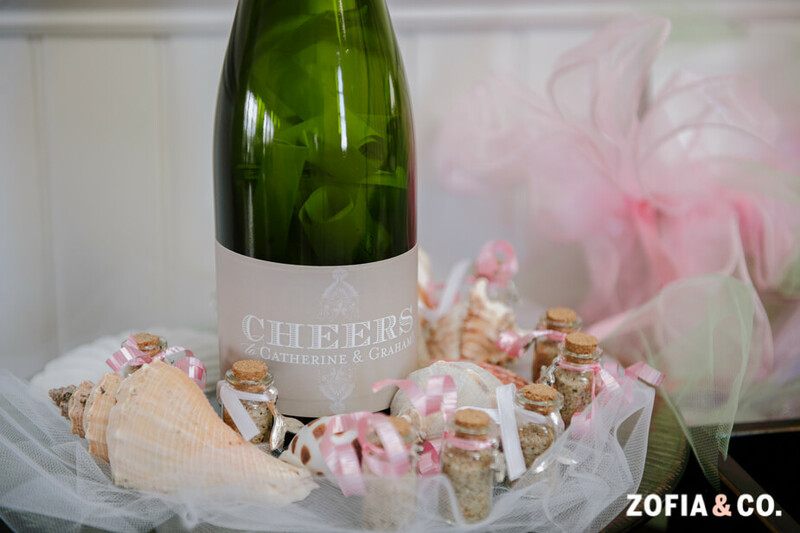 The Nantucket welcome boxes were overflowing with goodies such as champagne with custom labels and custom designed playing cards that read, “perfectly suited!” The reception was topped off with gorgeous neutral florals with a touch of blush pink, place settings with custom menu cards and table numbers, and a sparkler send off for the bride and groom!